This fresh and healthy deodorant spray will soothe your skin and give you a fresh and healthy scent with no chemicals or synthetics. 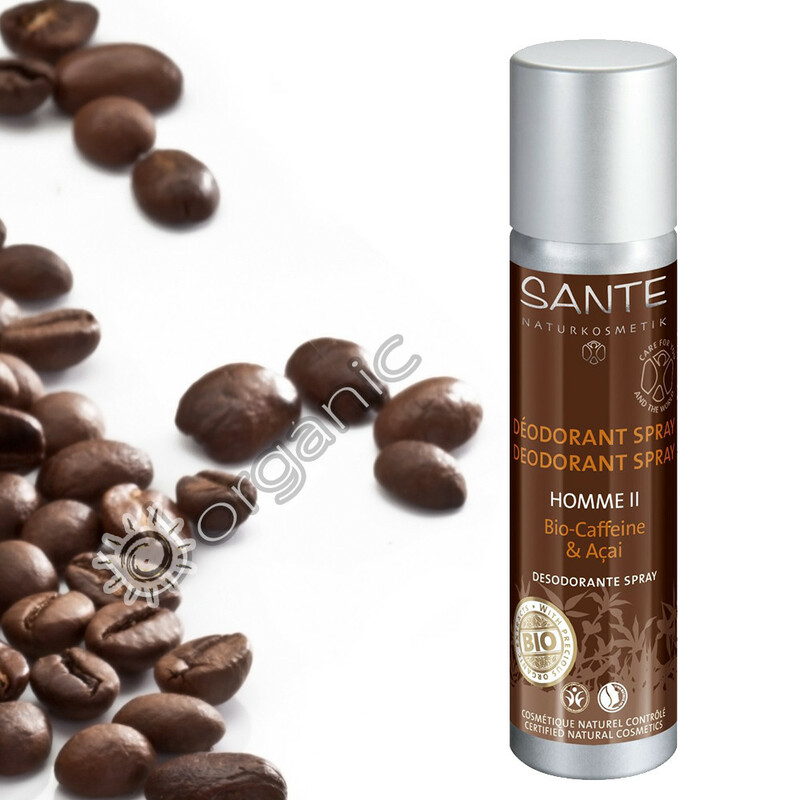 Sante Homme II Deodorant Spray is made with only the finest natural ingredients and it will be gentle and soothing on your skin. This mild formula contains organic acai berry extract which will refresh and revitalize your skin as well as organic caffeine and natural essential oils. These special ingredients help to eliminate the bacteria on the skin which cause body odor, while still keeping the natural balance of the skin intact. This gentle deodorant spray is BDIH and NatTrue certified as well as being gluten free and vegan. If you are looking for a soothing and natural way to keep yourself smelling fresh all day long, you’ve found the solution. You’ll fall in love with the tangy and masculine scent and the skin-soothing properties of this great deodorant spray.